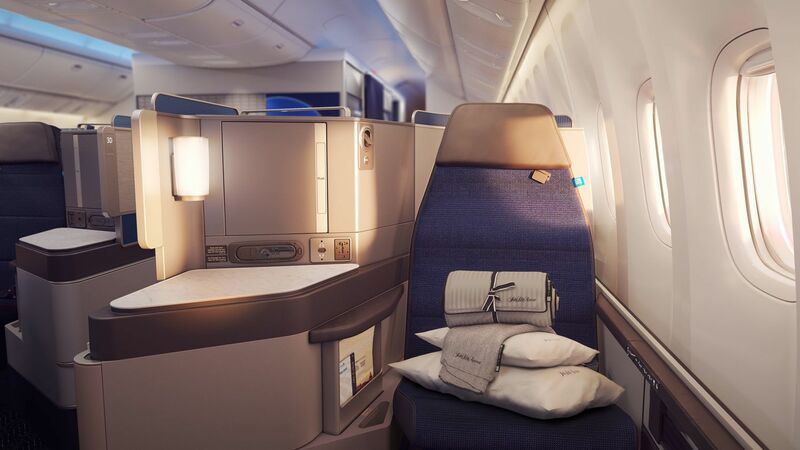 United Airlines is bringing its newest jets and its best business class seats to the competitive US transcontinental market, in a move which will benefit savvy United business class travellers flying from Australia through to New York. From January 2019, United's Boeing 787-10s will be seen sprinting on domestic flights between the east and west coasts – and taking pride of place at the Dreamliner's pointy end will be the Polaris business class seat. 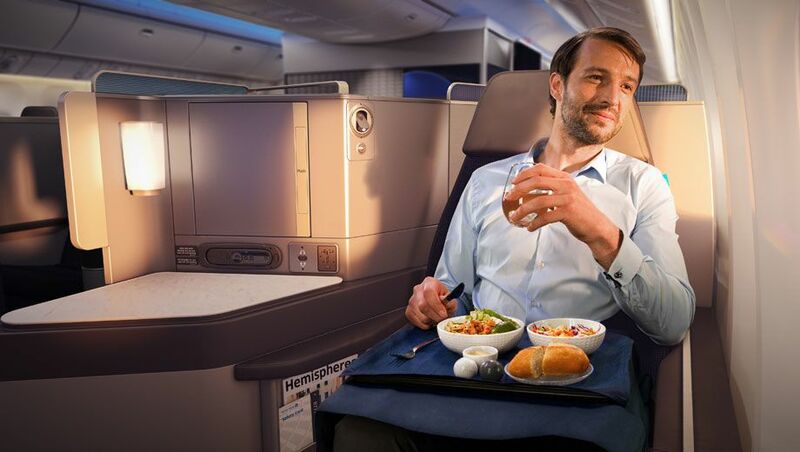 In every measure this is a serious upgrade to the usual domestic 'first class' experience, even following the 'transcon turf war' which has seen United, American Airlines and Delta Air Lines, along with challenger JetBlue, sharping their premium products on these six hour flights. United's east coast base is Newark Liberty Airport in New Jersey, not New York per se, but Newark is closer to lower Manhattan and New York's downtown financial district. From January 7, the Boeing 787-10 will fly as UA275 departing Newark at 6pm to arrive into LAX at 9.06pm, around 90 minutes ahead of United's flights from Los Angeles to Sydney and Melbourne. The Dreamliner's eastbound return journey is as UA2418, which leaves LAX at 8.15am – after the early morning arrival of United's flights from Sydney and Melbourne – to reach Newark at 4.19pm. From February 14 you'll also see the Boeing 787-10 darting between Newark and San Francisco (one of the flights to watch is UA2006). The Boeing 787-10s also come with United's new premium economy seating, called Premium Select. The seats are 19 inches wide, with 38 inches of pitch, and are arranged in a 2-3-2 pattern. However, United is currently not selling Premium Plus on these domestic flights – instead, those 21 seats will initially be sold as if they are the inferior Economy Plus 'extra legroom' seats. 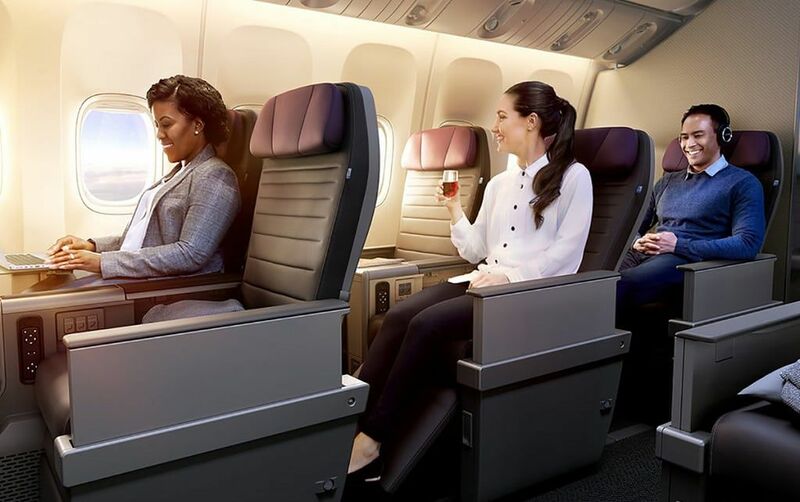 Savvy travellers booked into Economy Plus can 'upgrade' to the more comfortable premium economy seat by choosing a seat in the Premium Select cabin, which is rows 20 through 22. A spokeswoman for United Airlines tells Australian Business Traveller that the Dreamliner will stay at a single daily Newark-Los Angeles flight through to the end of March, with a second daily service in April, while the San Francisco flights will increase to three daily services in March. However, the spokeswoman refused to confirm if its Boeing 787-10s would remain on domestic US flights, adding that "we will use the Dreamliner on international routes, but have not yet announced which (routes) or when. We will have additional details about other routes and delivery schedules the 787-10 will fly at a later date." If you're United Gold or better you can automatically upgrade yourself and a travel companion into Premium Select seats. Would certainly enjoy this more than the current QF747 or an AA321 on this type of flight. Would mean a connection time of 90 mins to QF? "United: and "Business Class" in the same sentence-laughable. Joe, have you flown UAs international longhaul J class with the new Polaris seat? You'll be pleasantly surprised. The 787-9s don't have the new seat yet but those planes are relatively new/young so it's no major. 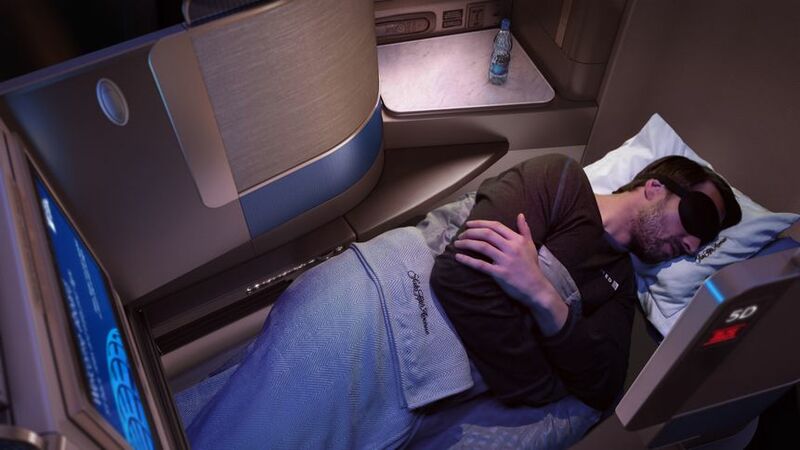 Comment on "United Boeing 787-10 brings Polaris business class to domestic flights"